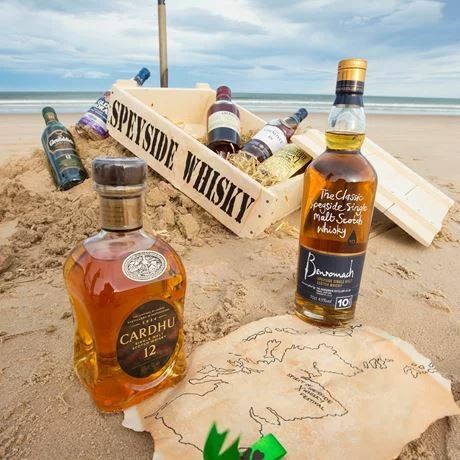 First launched in 1999, Speyside’s annual celebration of Scotland's national drink has developed into one of the largest events of its kind anywhere in the world. With a programme of over 500 whisky-inspired events over five days, the festival is a mecca for the curious beginner and the whisky connoisseur alike. Festival events take place throughout Speyside, the biggest whisky producing region in Scotland, located in the Moray area in the northeast of the county between Aberdeen and Inverness. Event venues are as varied as the experiences on offer – distilleries old and new, charming village halls, local whisky bars, historic castles, old steadings and the great outdoors – each guaranteeing an authentic experience. With activities taking place from Elgin in the north, Kingussie in the south, Keith in the east and Forres in the west, following the length of the River Spey to the sea (one of National Geographic's ‘greatest coastlines’), the festival brings this renowned whisky region to life as visitors from 54 countries are welcomed, greeted by locals as old friends. Over the years, the festival has developed close links with many Speyside businesses and communities who help to fund the festival. It is a true team effort to deliver an ever-improving range of events and services to make the five days of the festival an unforgettable experience.